Camp Biscuit dog training, behavior & family+dog consulting are done in the privacy of your own home which allows for personal customized sessions and flexible scheduling. We believe in using kind methods of communication and behavior modification to enhance the Canine + Human experience. 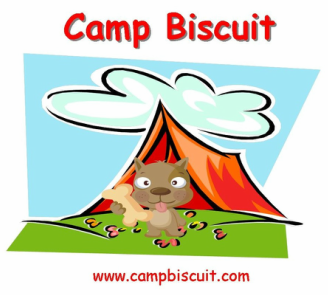 Camp Biscuit Daycare & Overnight Camp provide a fun, safe, secure, stimulating, home-like environment for dogs. It's the perfect place for dogs who just might not be happy at a pet resort with 25+ dogs. We operate with a small number of dogs per human, providing pet owners with peace of mind while they are away because they know Fido is having fun, getting lots of exercise, belly rubs, and homemade biscuits. ​For pets that just feel better "in their own bed", Camp Biscuit offers a suite of pet sitting services customized to your pet/pets' needs without leaving home. Rest assured your pet will be in good hands; they will hardly notice you're gone. Jane Kelleher, Behavior Consultant & Dog Trainer started Camp Biscuit in 2014, but has been caring for dogs other than her own for more than 8 years. 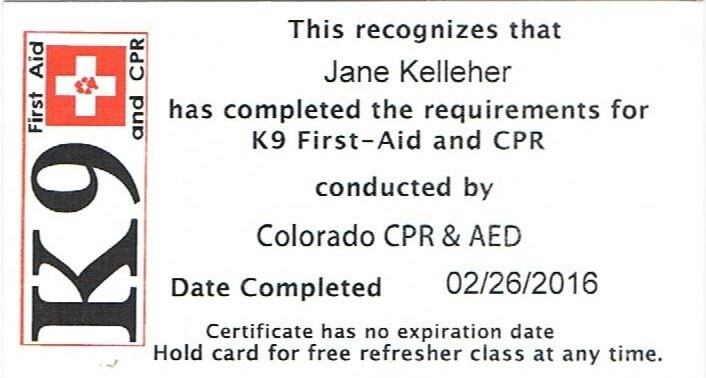 During this time Jane graduated with distinction from CATCH Canine Trainers Academy where she completed a state-licensed, comprehensive 10 phase hands-on program in Professional Dog Training and Behavior. This also included an evaluation of her training skills by a top ranked certified mentor trainer in Colorado. In addition to training & boarding dogs, Jane volunteered at Foothills Animal Shelter training rescued dogs to prepare them for adoption. Outside of camp, you will find Jane in the great outdoors of Colorado skiing, biking, or hiking, to name a few, but her favorite place is on the beach. Biscuit, the four-legged Camp Ranger, is a 7 year old male Catahoula-Australian Shepherd mix, who enjoys meeting new campers and has made friends with many regulars. See his "rocket" recall above?! Years ago I began watching dogs for friends and family which eventually grew into watching dogs for friends of friends and family. In 2014 I decided to make a full time career of it, but also knew I wanted to be more than a "Dog Nanny". I entertained different ideas in the pet industry, and concluded the best fit was Dog Training because I wanted to help dogs & dog owners discover their dog's real potential. 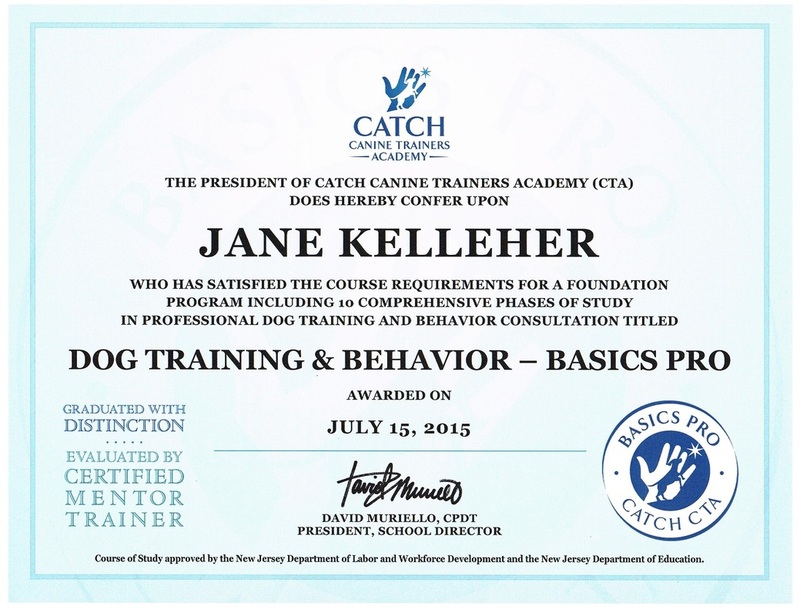 After researching dog training courses, I enrolled at CATCH Canine Trainer’s Academy. During this year-long study, my eyes were opened to a whole new world – a dog’s world – and a new passion evolved within me. I quickly came to realize how little the average pet owner knows about dogs, myself included, and how we cut-off a dog’s language “mid-sentence” on leash, at dog parks, and at home. More importantly I discovered most people, especially children do not know how approach a dog safely, and much less understand the messages their dog is trying to send them with his/her body language. Most dog bites occur because of lack of understanding and proper supervision by an adult pet owner, not because the dog is vicious. Unfortunately the dog experiences the brunt of the human’s negligence via euthanasia or rehoming. My heart’s desire is to prevent these situations by sharing what I have learned with adults and children through training and education. I am a licensed educator for Family Paws Parent Education to present their parent education programs, “Dogs & Storks” and "Dogs & Toddlers”. These programs are geared toward new and expecting parents or parents with toddlers, helping them to integrate their new life and their “best friend”. In short, Camp Biscuit exists for the purpose of enriching the lives of families with dogs through training, consulting, and pet care services.